Doron Kahana, M.D. is a gastroenterologist who has been met with positive responses from both doctors and patients for his unorthodox reliance on medical nutrition, along with regular endoscopy, to treat patients with gastrointestinal disease. He recently opened a private clinic—called the Center for Digestive Health and Nutritional Excellence (CDHNE)—where patients are monitored with dietary logs and analytic dietary consultations and given recipes that encourage a regular diet of plant-based products and a high intake of pre-biotics. He also practices at Torrance Memorial Medical Center and Providence Little Company of Mary Medical center in Torrance, California. Ariel Malamud, M.D. 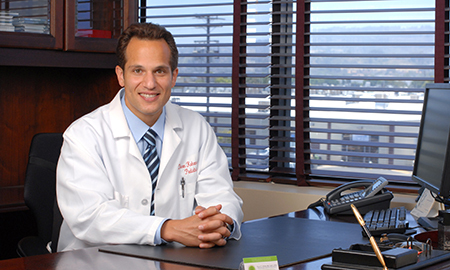 practices gastroenterology in East Los Angeles, California at his own private practice as well as with fellow doctors at White Memorial Medical Center (WMMC), a non-profit community teaching hospital. He has been seeing patients at both of these locations for more than 10 years, specializing in biliary, pancreatic and regular endoscopy. He is a member of the American Gastroenterological Association (AGA), the American Society of Gastrointestinal Endoscopy (ASGE) and the American College of Gastroenterology (ACG). On his days off, Dr. Ariel Malamud enjoys hiking with a group of fellow doctors from the hospital. They recently climbed up the trails of Mount Whitney in Northern California. From a full day in his lab coat seeing patients and performing highly delicate medical procedures to an evening in red and gold rooting for his favorite football team—the San Francisco 49ers—a typical workday after 3 years is anything but monotonous for Arnab Biswas, D.O. 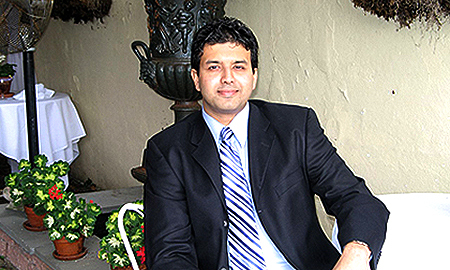 Raised in the bustling urban center of Queens, New York, Dr. Biswas moved out West as a young student and gradually worked his way through gastroenterologist training with a degree from medical school, an internship and residency work at Penn State University and several prestigious Gastroenterology and Hepatology fellowship programs. He is happily practicing now in Southern California’s High Desert at The Gastro Group in Victorville. At the 2011 ACG Annual Scientific Meeting held by the American College of Gastroenterology at the end of October of last year, the endoscopic ultrasound, or EUS, was a popular topic of debate among doctors studying ultrasonography in endoscopy. The relatively new endoscopy test has become, along with other medical imaging techniques, a standard way of differentiating between early stages of esophageal cancer in patients. Exact methodology of how to use endoscopic ultrasound to stage cancerous lesions has not yet been widely agreed upon. But the outcome of such discussions among gastroenterology professionals may affect the type of treatments prescribed to patients with esophageal cancer in the United States. Have a question for a gastroenterologist? What is Gastroenterology.com? 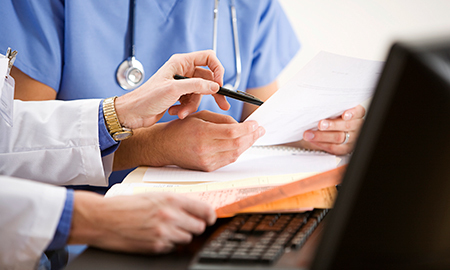 Are you looking for gastroenterologists and information about gastroenterology? Even if you don't know who or what a gastroenterologist is, we have information that we hope can help. Gastroenterology.com enables you to browse medical information related to gastroenterology conditions and procedures. You'll find gastro information ranging from questions such as what is gastroenterology to tips on finding the best gastroenterologist for your particular situation. Perhaps the best part about Gastroenterology.com is that the site is completely free for consumers to use. One of the characteristics of Gastroenterology.com that makes our site unique, is our free gastro question and answer functionality. If you are browsing our site and are unable to find an answer to a specific medical question, you can ask that question to local gastroenterology doctors at no charge whatsoever. The questions that you provide are completely anonymous and we will protect your personal information. However, your questions will go to local gastroenterologists who will provide you with free answers and related gastroenterology information. Feel free to view our collection of answers that consumers have already asked to gastro professionals as well. The Gastroenterology.com network also makes it easy to find gastroenterologists and gastrology doctors who have medical practices near your location. We will automatically display local gastro professionals on the homepage of the site since we are able to determine your location based off your IP address. The site also has a search functionality that enables you to easily find local physicians based off your zip code. You can then get more information about local gastros including background info, testimonials, the doctor's answers, contact info, and other pertinent information that makes choosing a doctor as easy as possible. In addition to enabling users to ask questions and receive medical answers directly from local professionals, Gastroenterology.com also has an extensive amount of medical information related to gastrology. All of the medical info on our site is reviewed by gastroenterologists to ensure the authority of this information. On the site you'll find information about procedures such as colonoscopy, ct scan, endoscopy, colostomy and more. Just browse our procedures page to view even more gastro procedures. The information about gastrology conditions that we have includes information about hemorrhoids, diarrhea, anemia, hernias, and more. 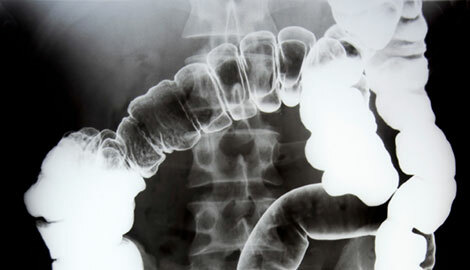 To view this information just review our gastroenterology conditions section. And remember, if you cannot find any specific gastroenterology information feel free to ask your own question to get a more direct answer to your question. Are you specifically looking for information relating to colonoscopy, one of the most common procedures conducted by gastroenterologists? That’s no problem whatsoever. Just visit Colonoscopy.com for more focused information relating to colonoscopy and for other gastroenterological procedures and techniques that can help prevent colon cancer. With the right medical attention, colon cancer is a highly preventable disease.